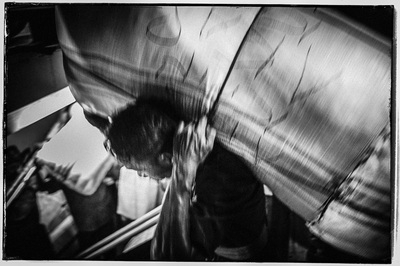 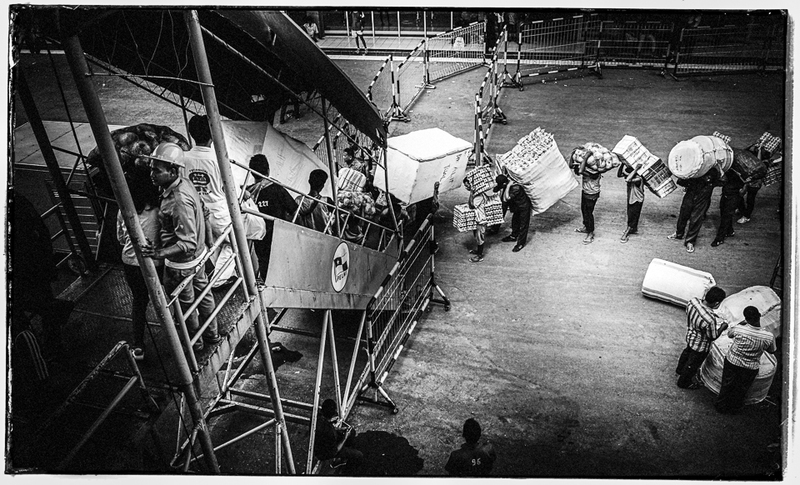 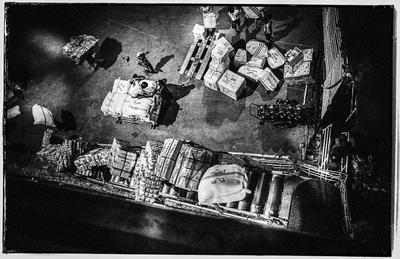 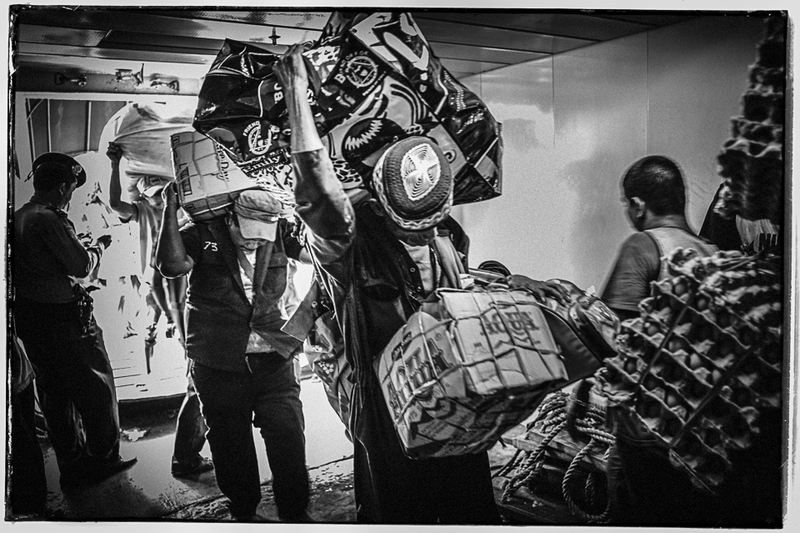 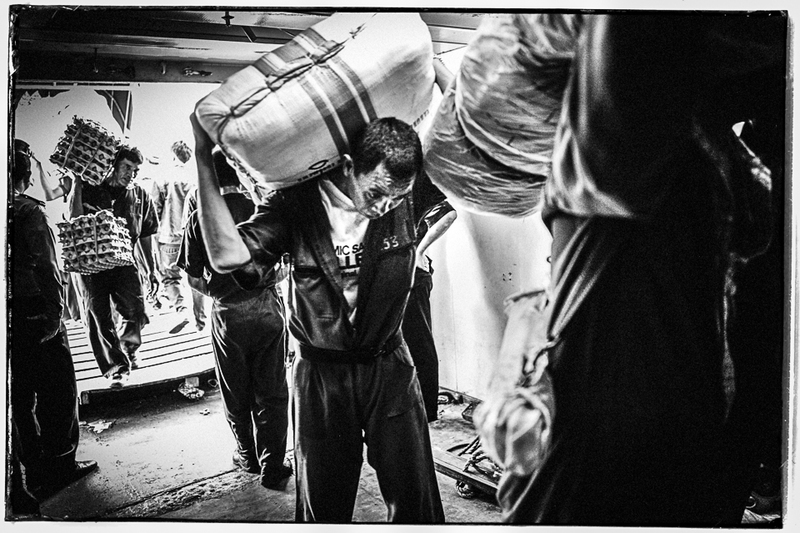 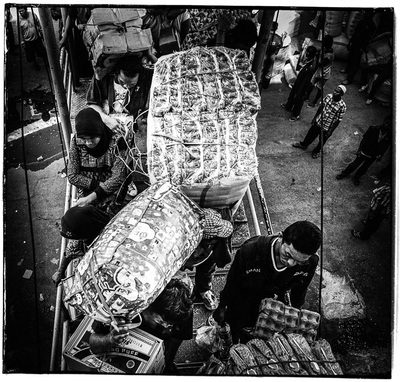 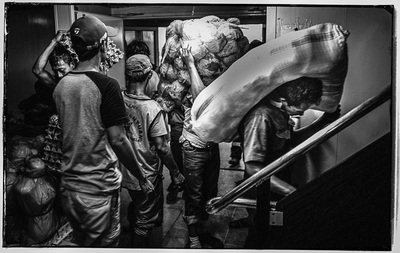 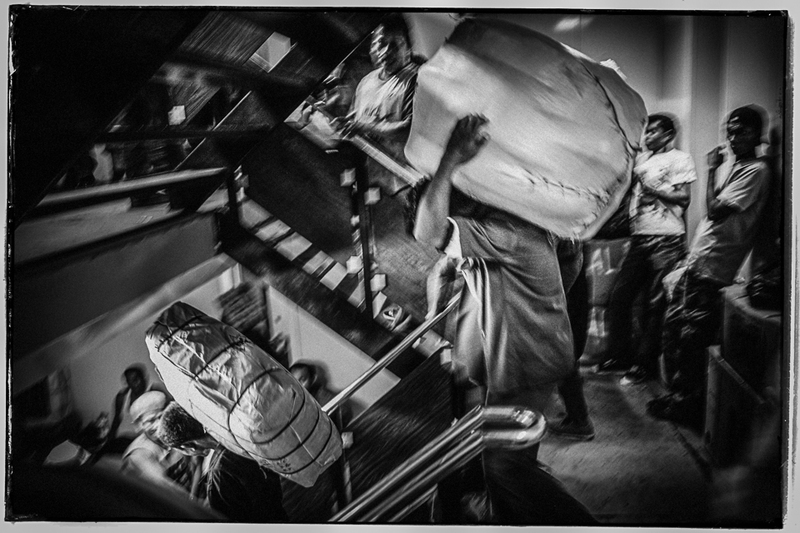 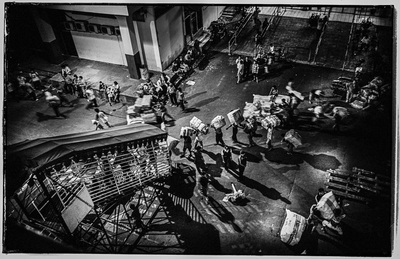 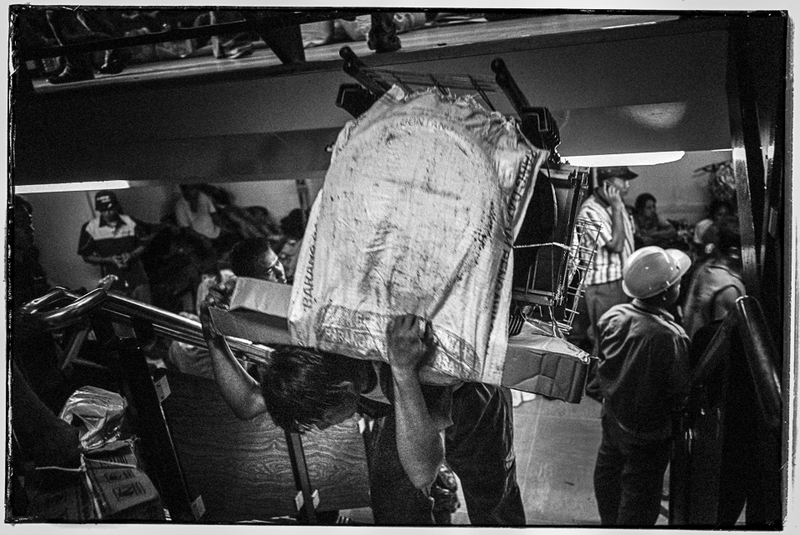 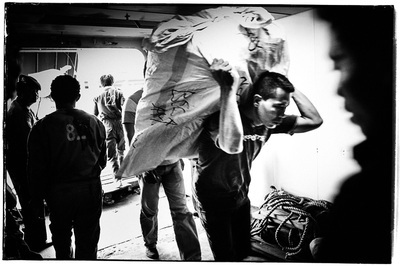 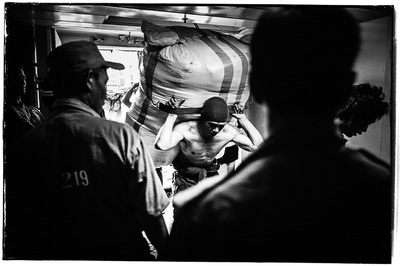 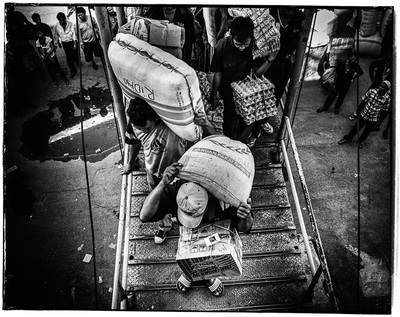 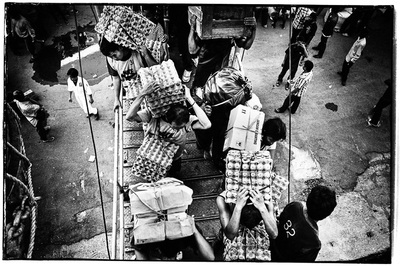 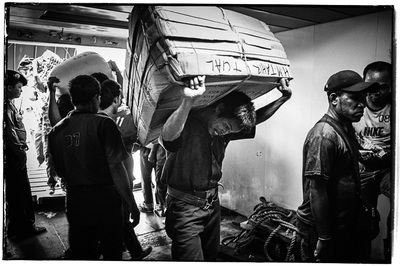 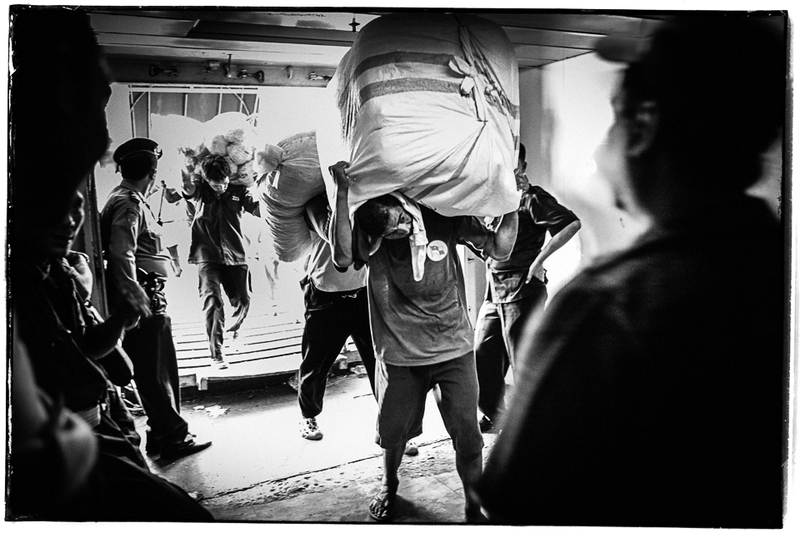 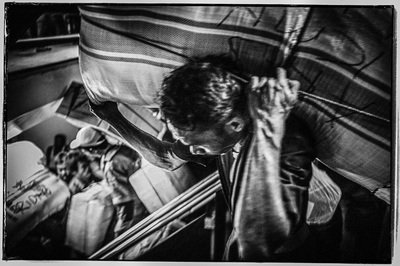 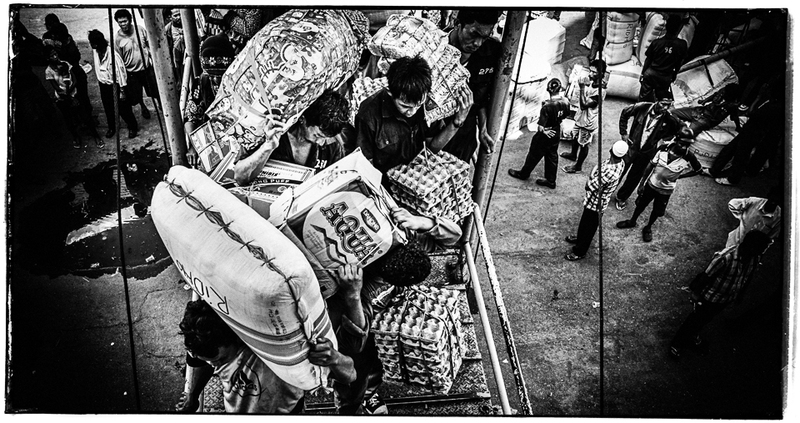 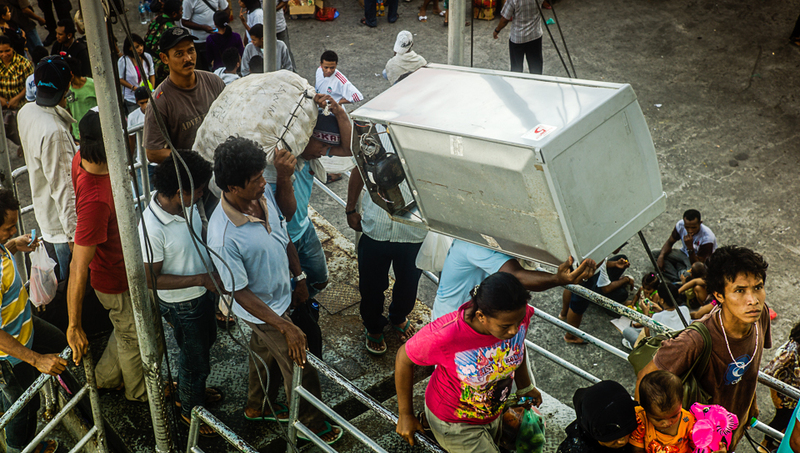 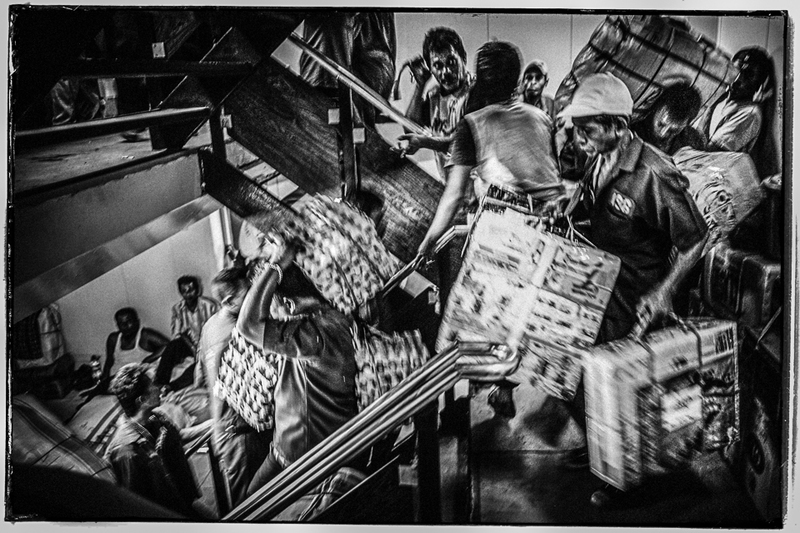 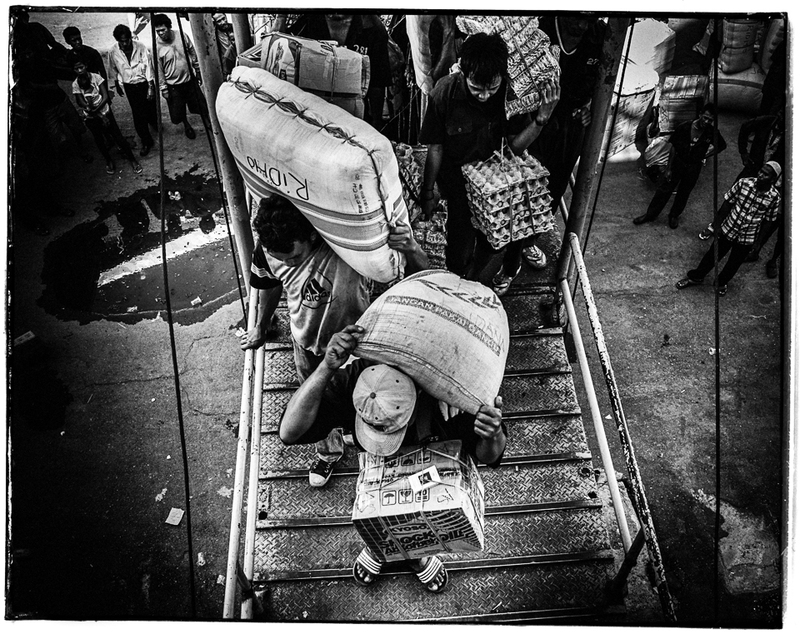 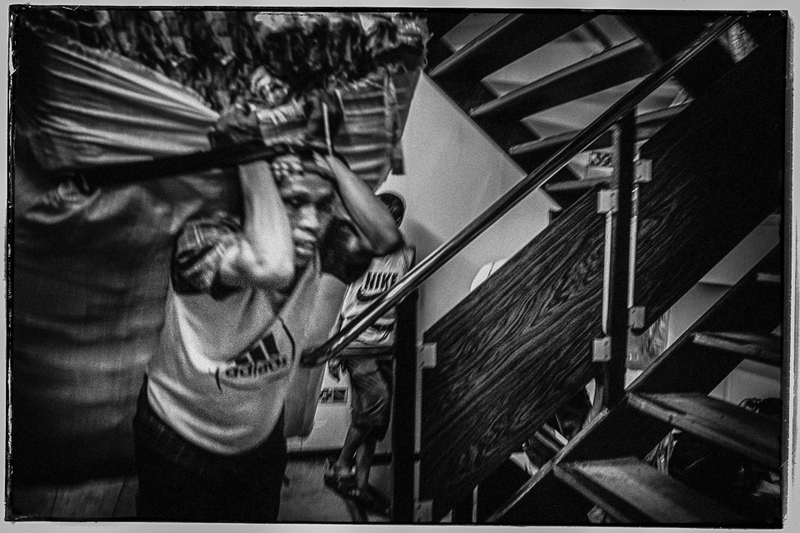 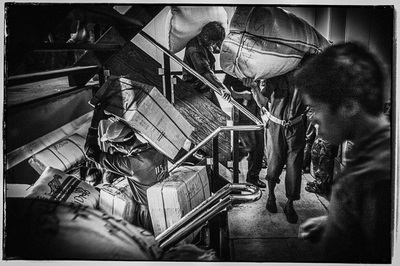 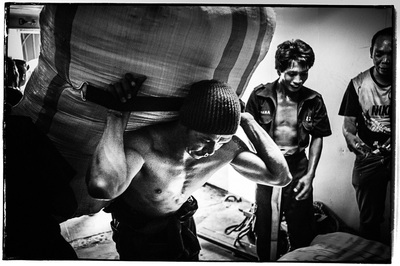 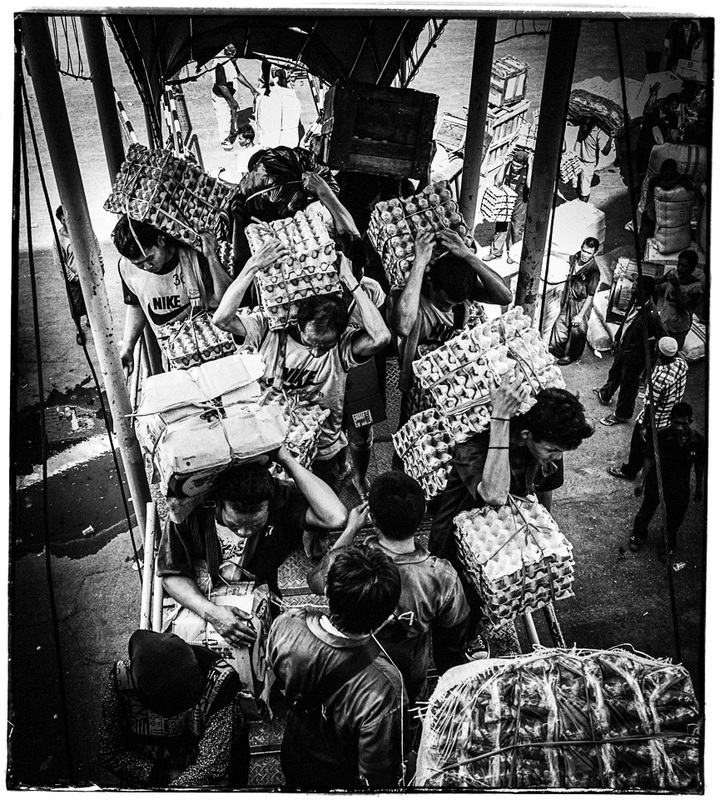 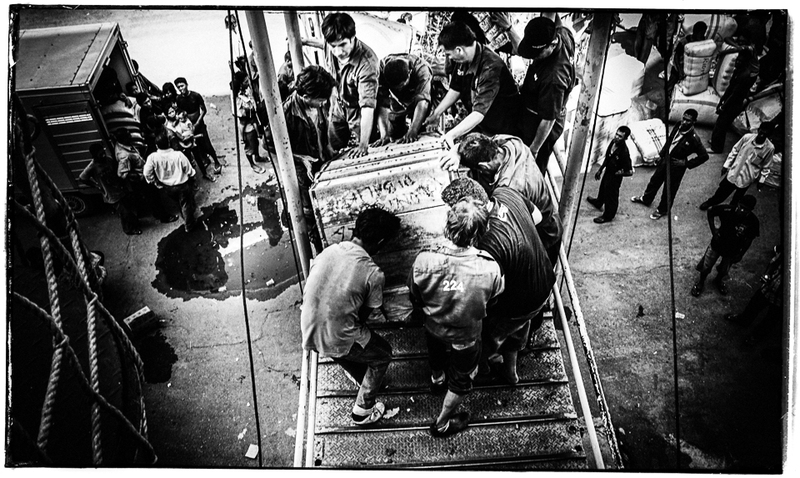 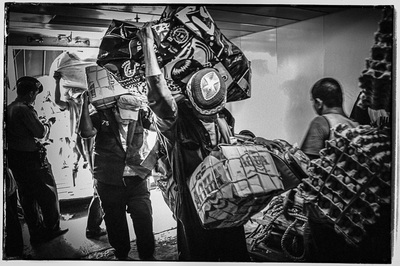 of push and pull between the gang of porters to get to the passengers and their merchandise. Pelni is the national shipping company of Indonesia. 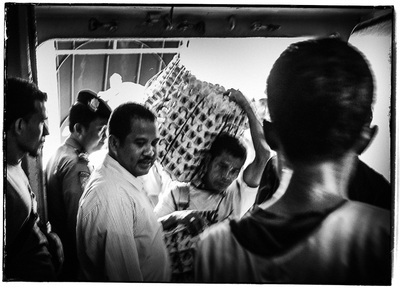 Currently Pelni operates 26 ships; 23 of these are passenger ships that serve a variety of routes within the archipelago and connects all the main islands of Indonesia from Sumatra to Papua. 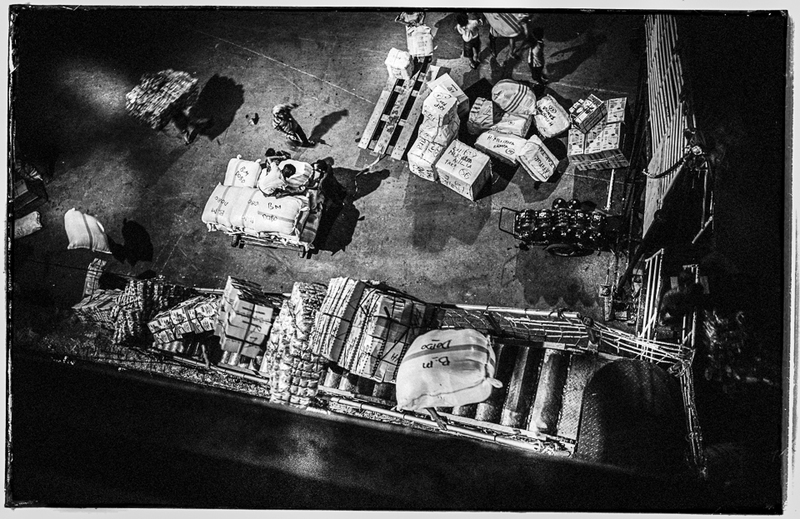 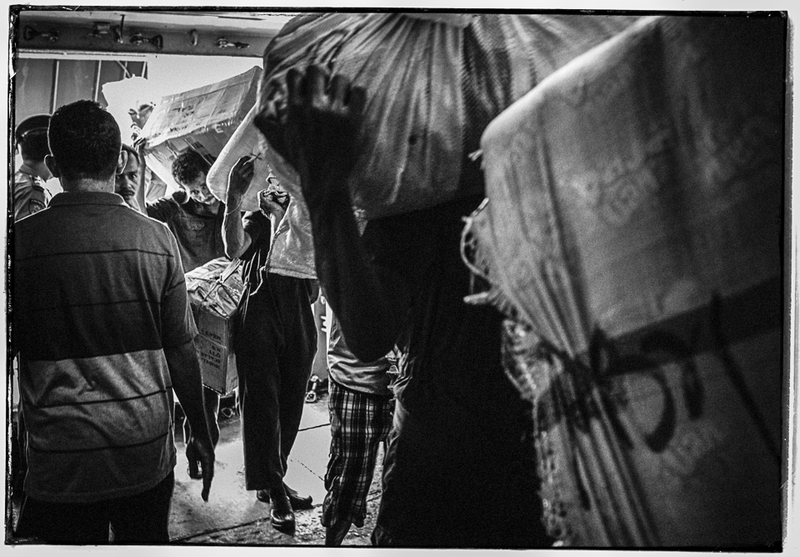 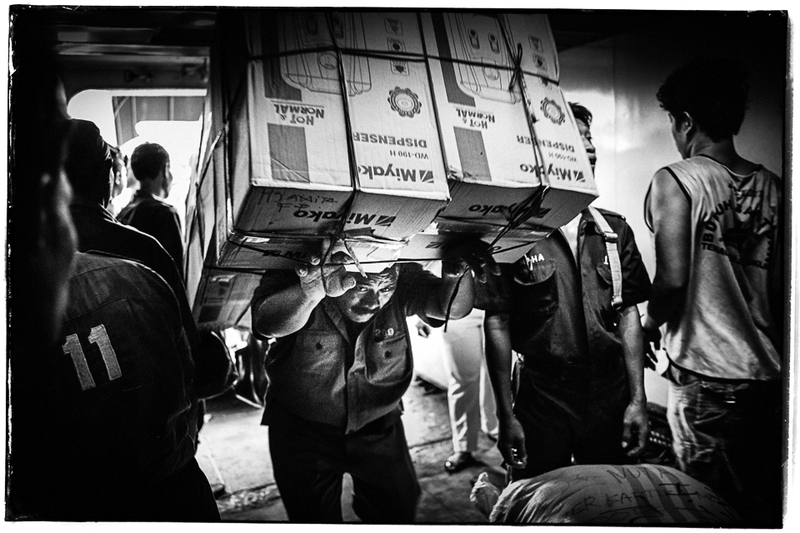 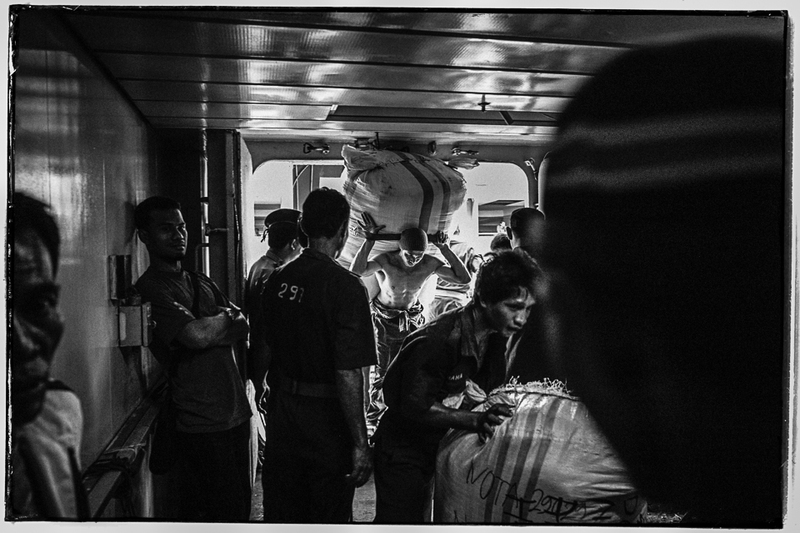 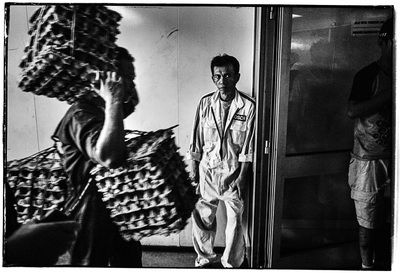 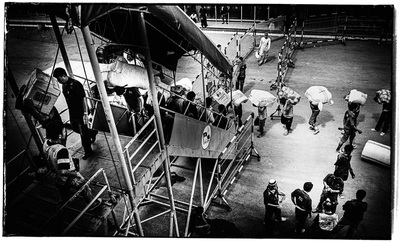 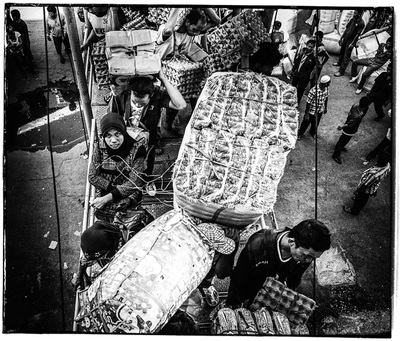 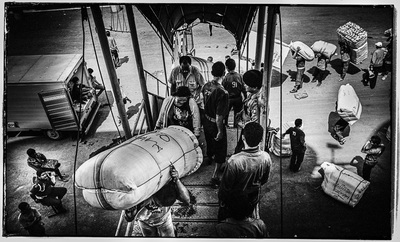 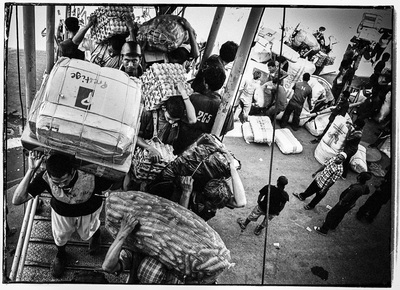 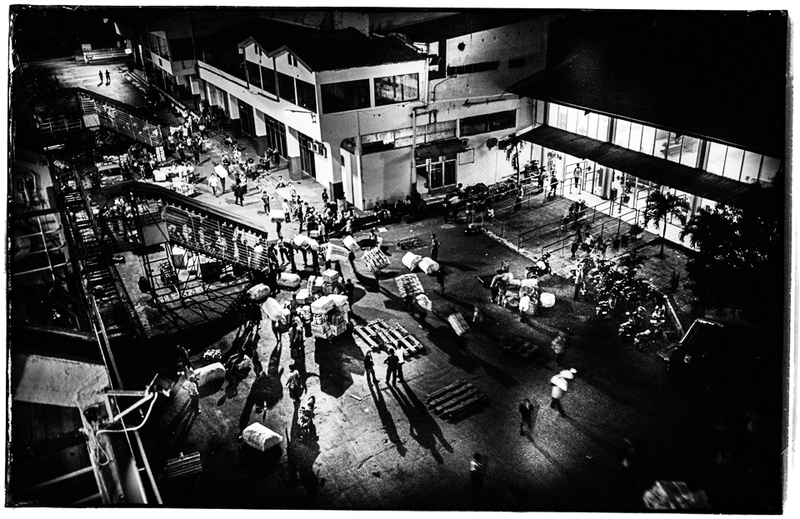 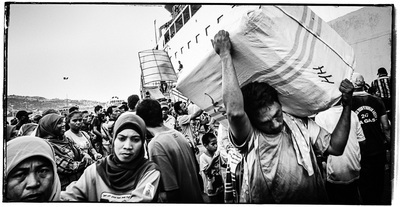 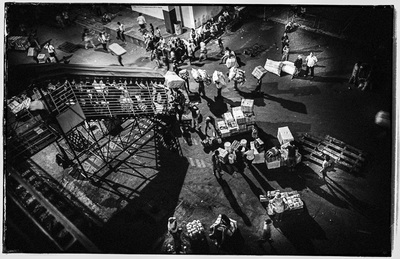 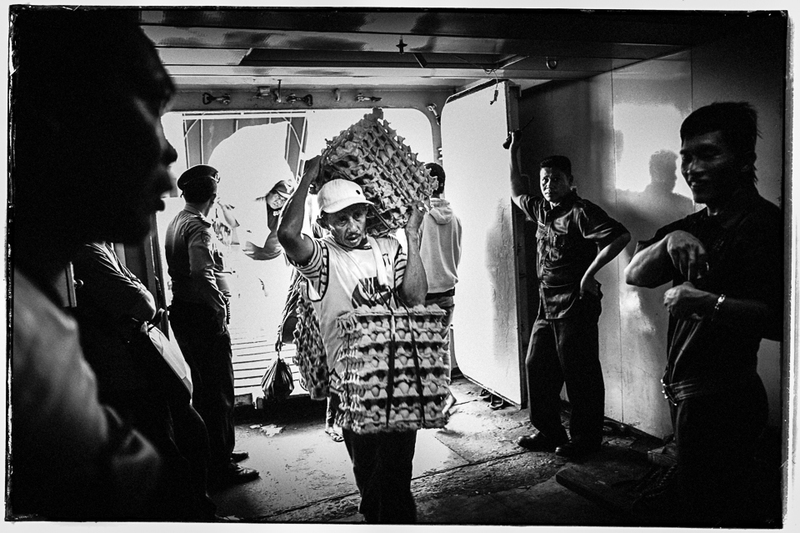 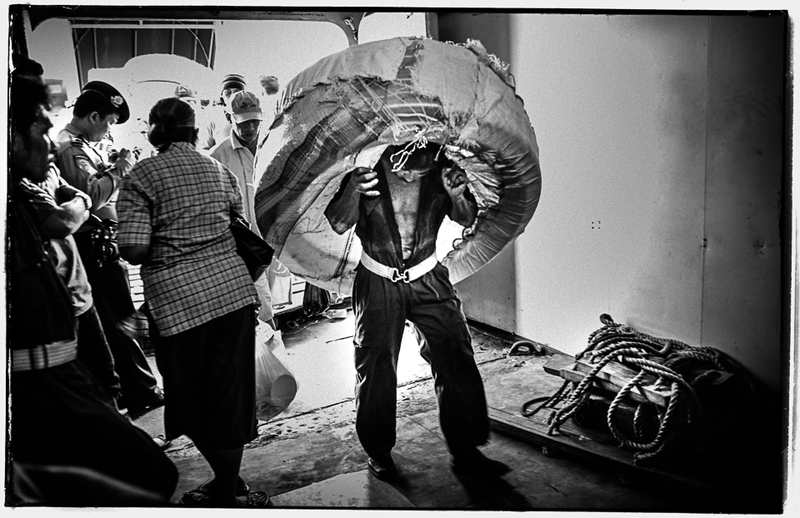 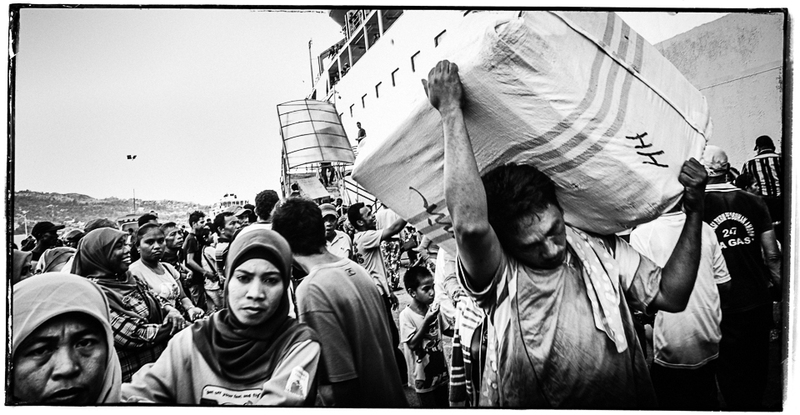 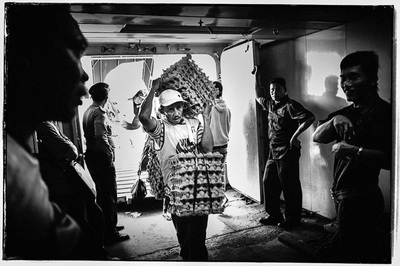 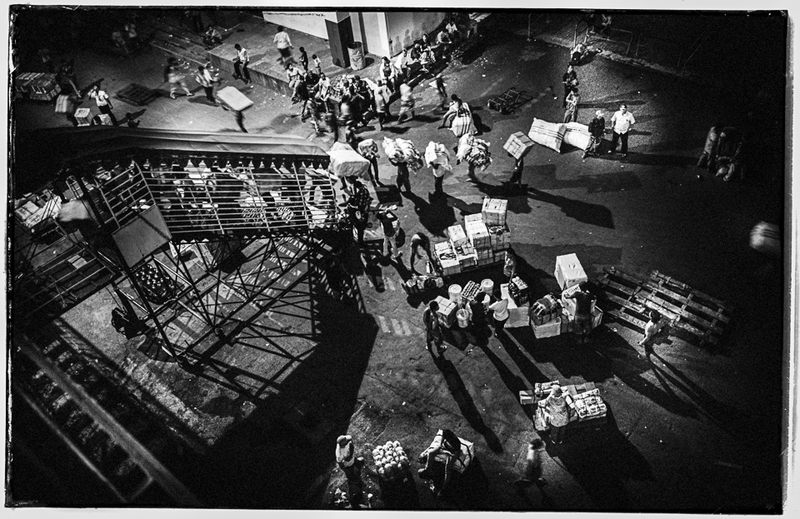 « When a Pelni ship arrives in the harbour an army of porters wait in line. 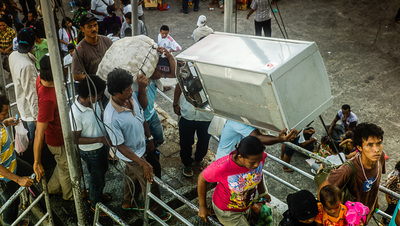 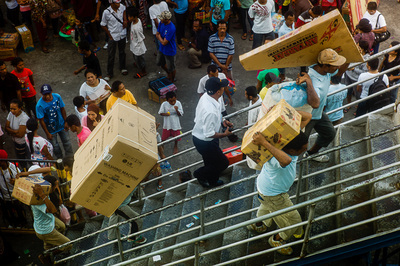 As soon as the stairs are lowered the porters run, pushing and shoving each other to get to the passengers who have suitcases and boxes to be carried. It is a free for all and one must be careful to be in the way of a running porter who has spotted a client. 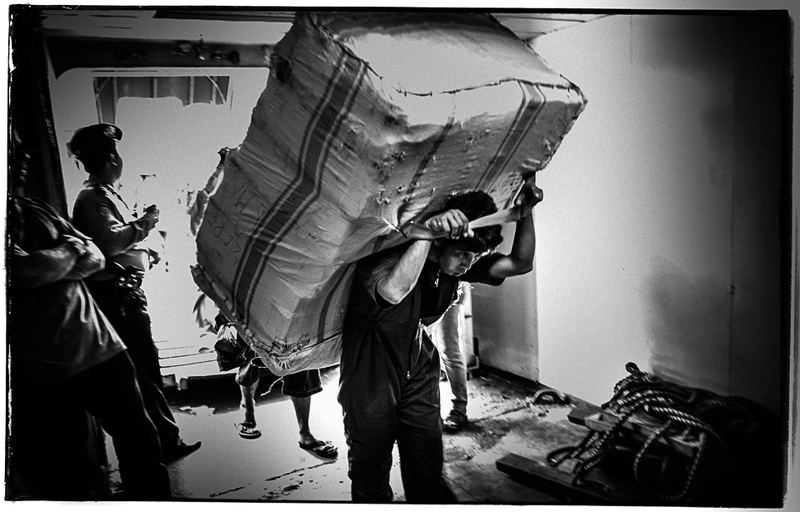 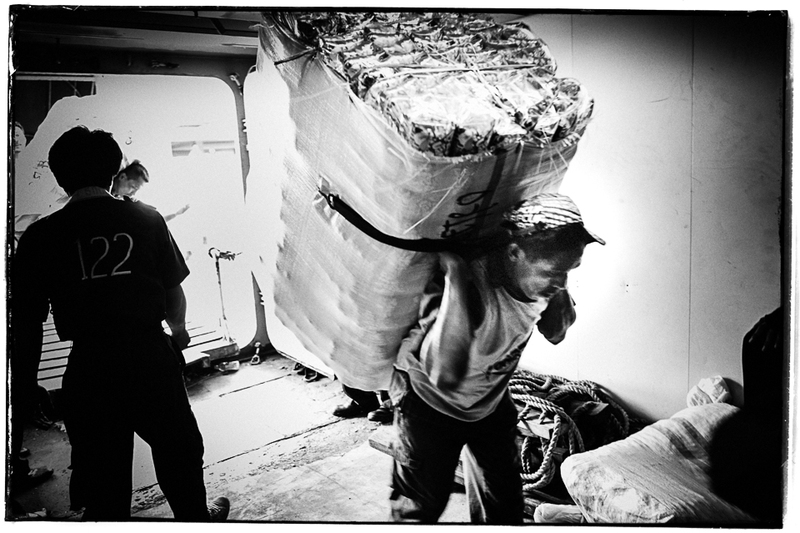 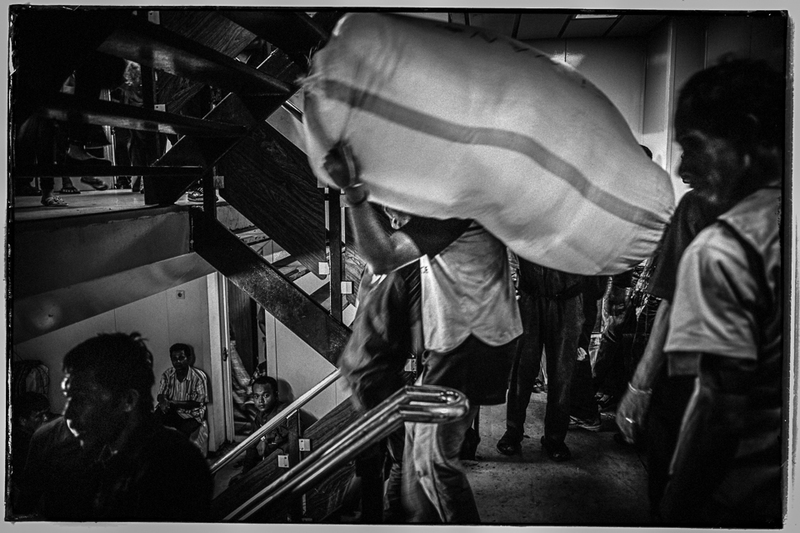 One must also make way for the porters who carry heavy loads and are often caught off balance and trip over passengers. 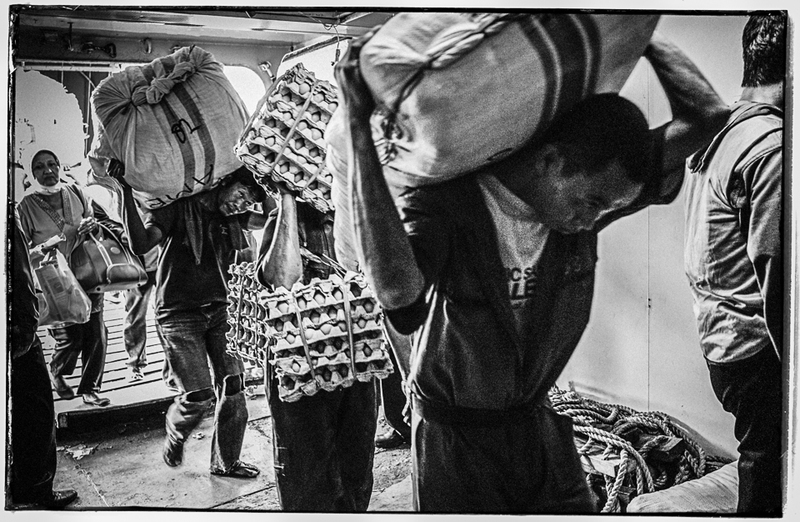 It is best to sit back and relax and wait till the porters and passengers have left the ship before descending to the dock ».